Whenever I'm in Waterstones I’m immediately drawn to the colouring book section. I always loved colouring in as a kid and I’m not going to lie, I am very happy that it’s now become an acceptable hobby for adults, with some towns even hosting grown up colouring clubs like this ONE. 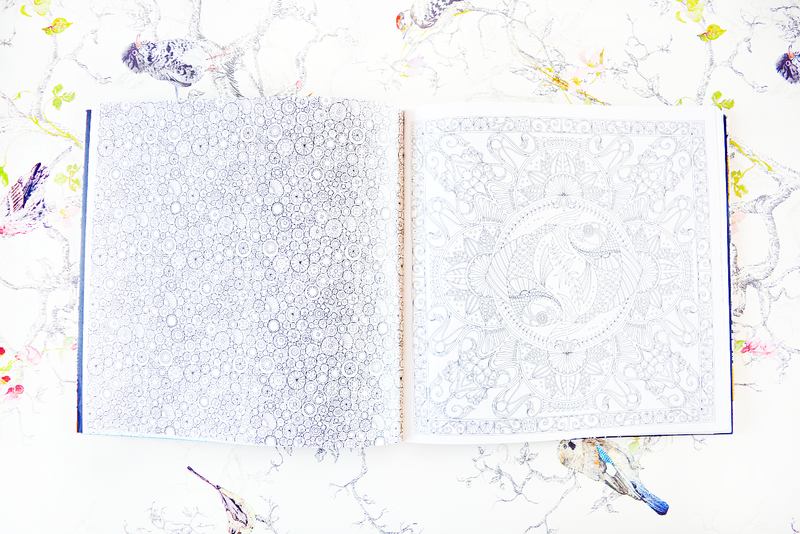 I feel like there’s one person who is responsible for the popularity of grown up colouring books and that’s Johanna Basford, the creator of Enchanted Forest and Secret Garden. 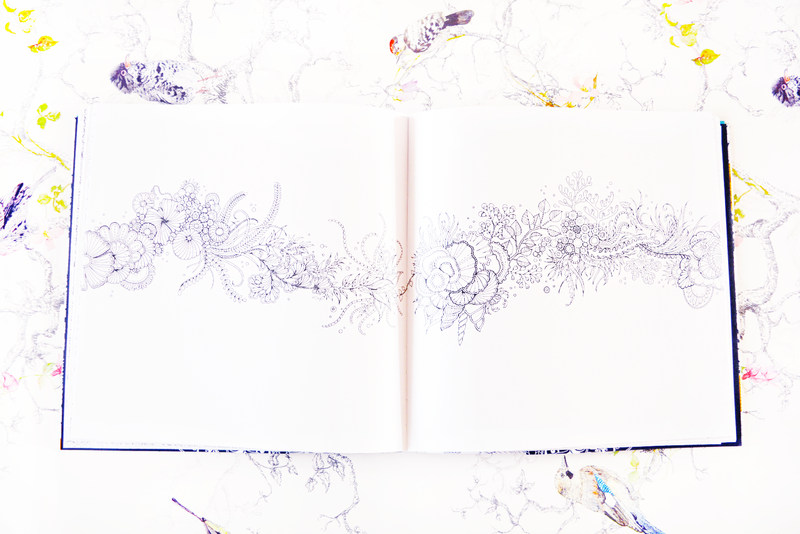 Her colouring books are filled with beautiful, hand drawn illustrations with each illustration containing hidden items for people to find. I was so excited when I heard she was bringing out ‘Lost Ocean’, a new colouring book, and I knew I had to be one of the first to buy it. 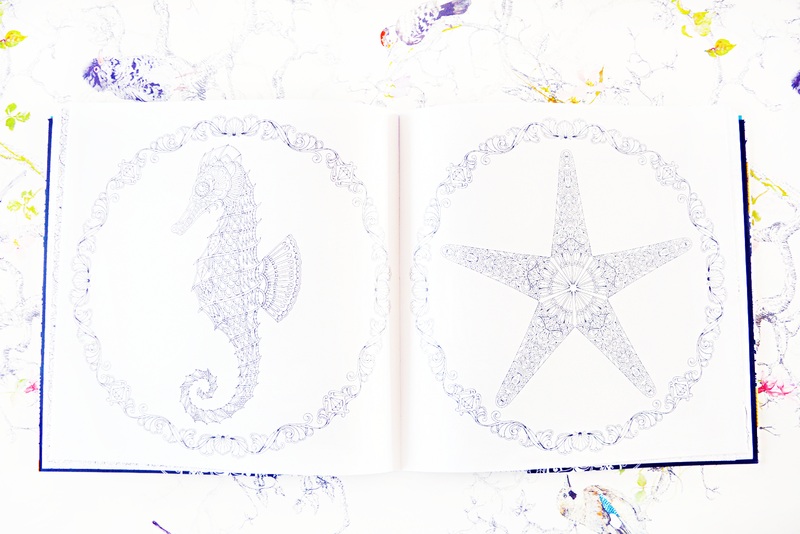 Lost Ocean takes you on an enchanted underwater adventure, with delicately intricate illustrations of exotic fish, sea life and elegant shells. I’m always blown away by the level of detail Johanna puts into her designs and they’re simply a joy to colour in (in fact they’re almost too beautiful to colour). 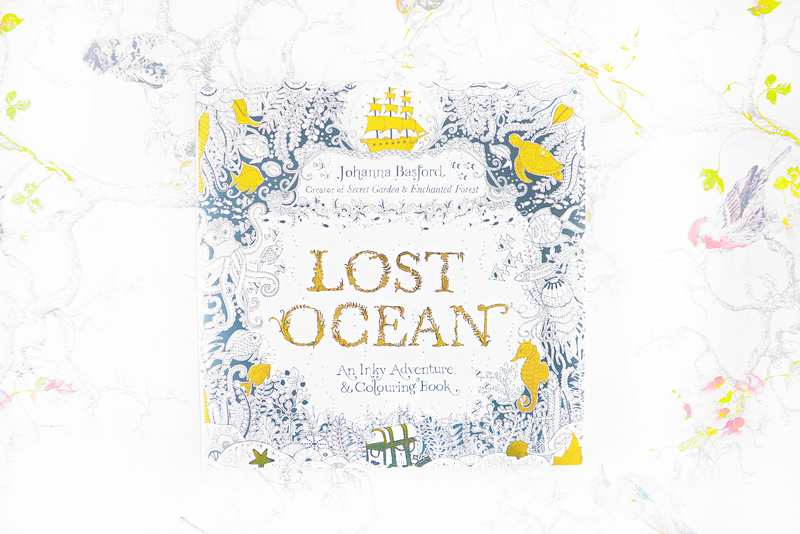 Lost Ocean comes with a removable dust jacket with the most elegant illustration, complete with gold foil accents and decorative typography. Johanna has opted for a white dust jacket this time as oppose the cream she used for Secret Garden and Enchanted Forest, and underneath the jacket is a turquoise and black tribal-esque pattern. The paper used for the pages is thick and feels like excellent quality. I’ve not put it to the test yet but I’m hoping this means pens won’t bleed through to the other side like they do with a lot of other colouring books. Do you love colouring in? If anyone has any recommendations for pens that are blendable but don’t bleed through pages then please tell me in the comments below! Johanna recommends the Triplus Fineliner pens in her books as long as you have a light hand and don't press down hard, the colours won't bleed through. I have all three of her books and use these pens all the time, never have bleed through at all.